You are currently browsing the archives for the Tom Coburn category. Central Minnesotans should back Sartell Mayor Joe Perske in the 6th District House race and incumbent Al Franken in the race for U.S. Senate. Republicans will immediately call “liberal bias” with the endorsement of two Democrats. The truth, though, in both these races is no matter which major-party candidate wins, the victor is going to seldom cross party lines and compromise on major issues. Voters need to elect the person who can begin to restore district credibility while improving the return district residents get on the tax dollars they send to Washington. The soft-spoken, blue-collar-leaning Perske is a better choice than Republican Tom Emmer. While Emmer is the likely favorite because of the district’s conservative demographics, voters need to seriously consider whether his political persona will help the district. He’s similarly conservative to Bachmann and he is known as a political bully, which makes his House strategy is “building relationships” a tough sell. I won’t insist that the Sixth District’s credibility is untattered. That said, the Times Editorial Board’s animosity towards Michele Bachmann is extensive and well documented. Another thing I’ll say is that it isn’t just about “improving the return district residents get on the tax dollars they send to Washington.” It’s about whose policies will strengthen central Minnesota’s economy and Minnesota’s economy. One of the things Tom Emmer will jump right into is cutting the federal government’s wasteful spending. He’s spoken frequently about his admiration of Sen. Tom Coborn, the man who put together a series of videos on sequestration. In not endorsing Al Franken in 2008, this board cited Independence candidate Dean Barkley as being most in touch with local, middle-class voters. Franken objected immediately and vowed to show it. In six years, and in a highly polarized Capitol, he has, and he deserves re-election. Again, noting neither he nor Republican challenger Mike McFadden will stray far from their respective party’s line, Franken still stood up for Main Street over Wall Street, for a reasonable farm bill, and for better matching people with employers through education. That’s insulting. The Times didn’t mention the fact that Sen. Franken signed onto letters that oppressed his president’s political opponents while ignoring the Bill of Rights protections of citizens. The Times ignored the fact that Sen. Franken signed onto a letter to the IRS directing the IRS to apply additional scrutiny to TEA Party organizations. As for Sen. Franken staying in touch with Main Street, he’d pass with flying colors if Main Street was defined as a union hall. If staying in touch with Main Street is defined by holding town halls in profitable businesses, Franken would get a D-. There’s a culture among our nation’s professional political class that accepts the fact that our government wastes over $200 billion every year – that’s nearly one-third of last year’s deficit! Some senators like Al Franken don’t seem to think it’s a big deal. I couldn’t disagree more. That’s why I announced yesterday that I will release an annual report on wasteful spending as your senator. I’ll go through the budget line-by-line and expose the wasteful projects that are eating up your tax dollars and adding to our deficit. Some say this report will make Washington uncomfortable, and that’s fine with me because I want to get rid of the culture of waste in our Capitol. While it’s imperative that we eliminate deficits for financial reasons, it’s morally imperative to get the economy growing robustly so families don’t have to live paycheck to paycheck like they’ve been doing the last 5+ years. It’s time to reject the Obama-Franken economic policies. It’s time to embrace pro-growth economic policies that return the U.S. economy to being the envy of the world. That won’t happen if Sen. Franken is re-elected. He’s proven that he doesn’t know how to get America’s economy growing. Mike McFadden knows how to grow the economy because that’s what he’s done the last 25 years. If you want to grow the economy, hire a businessman. Hiring a comedian to grow the economy is a joke. At least it would be if it wasn’t such a serious matter. But I digress. The McFadden campaign is highlighting the ways in which he’ll eliminate wasteful spending and how he’ll reduce the scope of the federal government through regulatory relief. KRAUTHAMMER: But generally speaking you get past the next election by changing your policies, by announcing new initiatives, but not by wantonly changing the law lawlessly. This is stuff you do in a banana republic. It’s as if the law is simply a blackboard on which Obama writes any number he wants, any delay he wants, and any provision. It’s now reached a point where it is so endemic that nobody even notices or complains. I think if the complaints had started with the first arbitrary changes, and these are are not adjustments or transitions. These are political decisions to minimize the impact leading up to an election. And it’s changing the law in a way that you are not allowed to do. It’s getting difficult and slinking toward impossible to defend the Affordable Care Act. The latest blow to Democratic candidates, liberal activists, and naïve columnists like me came Monday from the White House, which announced yet another delay in the Obamacare implementation. The win-at-all-cost mentality helped create a culture in which a partisan-line vote was deemed sufficient for passing transcendent legislation. It spurred advisers to develop a dishonest talking point—”If you like your health plan, you’ll be able to keep your health plan.” And political expediency led Obama to repeat the line, over and over and over again, when he knew, or should have known, it was false. Fournier’s anti-conservative blind spot still exists. Saying that “the GOP hasn’t offered a serious plan that can pass Congress” is giving Harry Reid a pass. The Patient CARE Act will do the things that the ACA was supposed to do without raising taxes. It isn’t the Republicans’ fault that Sen. Reid is so intransigent that he’ll do anything to sabotage plans that might help families. It isn’t the Republicans’ fault that Sen. Reid is willing to do anything to keep President Obama’s signature legislation from getting declared a total failure before he leaves office. Why won’t Fournier take Sen. Reid to task for being intransigent? Why won’t he ask him tough questions about why he won’t consider legislation that’s a serious attempt to fix what’s broken in the ACA? When Mr. Fournier is willing to take off his ideological blinders, then I’ll pay attention to him. At this point, he isn’t a serious man because he isn’t willing to take those blinders off. The Obama Administration is failing to deal with ObamaCare because it is simply bad law. After refusing to accept bipartisan changes to the law, the administration is unilaterally making it up as they go along. Whether you are an American worker, employer, a union member or healthcare provider, you’ve had enough. What’s the remedy? Elections matter. Democrats may try hiding from President Obama on the campaign trail, but when it comes to his signature accomplishment, ObamaCare, each Democrat Senator up for reelection this year helped make it a reality. Rather than admitting that his signature issue is a failure, President Obama announced he was delaying the employer mandate. Again. The American people know that the Affordable Care Act isn’t affordable. People are paying more and getting less. 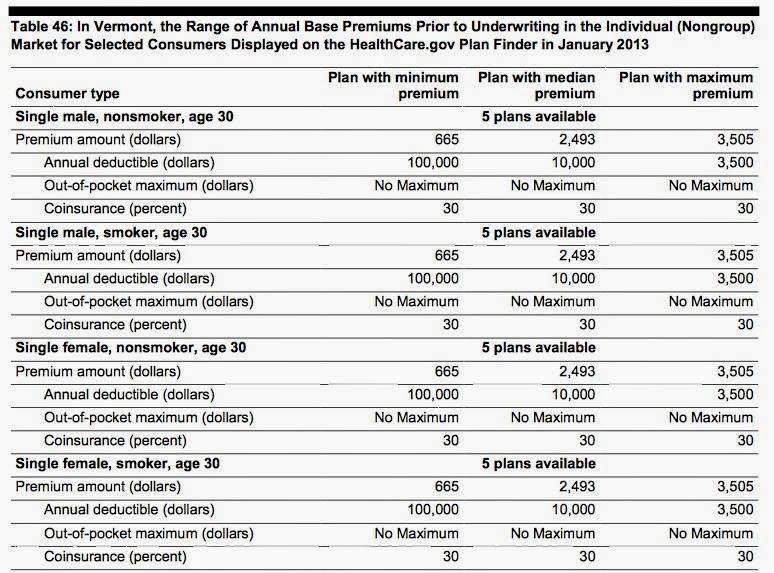 Families’ premiums and deductibles are higher. Their networks are smaller. All too often, they’re being told that they can’t continue seeing the doctors that they’ve trustded for years. Obamacare is the wrong perscription for a difficult situation. Dr. Tom Coburn, working with his Senate colleagues, has put together a plan that does what Obamacare was supposed to do. It addresses the problem of insuring people with pre-existing conditions. It lets families buy insurance across state lines. It lowers health care costs. Unlike Obamacare, it does all this without raising taxes. Obamacare is killing jobs. The Patient CARE Act will create jobs and unleash the awesome job-creating power of American entrepreneurs. Families need good-paying full-time jobs. Families can’t wait through another delay to a failed bill. Mssrs. Halperin and Krauthammer are right that Obamacare, aka the Affordable Care Act, is killing jobs and the decision to delay another part of the employer mandate screams of survival politics at its worst. Sen. Schumer, In your post for Huffington Post, you accuse TEA Party activists of making “‘government’ the boogeyman.” You then say that the plutocrats running the TEA Party have convinced Americans “that government is the explanation for their ills.” Let’s address those accusations, starting with the last accusation first. I expect US senators to use verifiable facts to support their accusations. That’s what Tom Coburn, Mike Lee and Ron Johnson, your Senate colleagues, did in putting together their video series. As you know, Sen. Coburn’s series is titled Sequester This, Sen. Lee’s series is titled Cut This, Not That while Sen. Johnson’s series is titled Victims of Government. Their videos provided documented proof of foolish spending and examples of the federal government being used as a weapon against the American people. Sen. Schumer, it isn’t that plutocrats have convinced TEA Party activists that government “is the explanation for their ills.” It’s that people like Sen. Coburn, Sen. Johnson and Sen. Lee have given people of all political stripes proof that government isn’t working for the people. Sen. Schumer, how can say that insurance plans with giant-sized deductibles are affordable? Do you seriously think that 30-year-olds can afford $10,000 annual deductibles? In Vermont, it’s worse by orders of magnitude. Next, let’s address your first accusation. You’ve accused the TEA Party of turning the government into a boogeyman. That’s interesting considering the fact that Democrats have accused TEA Party activists of hating women and minorities while accusing them of being astroturf organizations. That’s pretty rich coming from a politician making these accusations in front of an audience at the Center for American Progress. It’s rich because CAP is essentially funded by George Soros, the plutocrat that makes his money by manipulating currencies. You’ve accused the Koch brothers of funding ALEC for their nefarious purposes. Among other things, ALEC has advocated for cutting wasteful spending and pension reform. Considering Sen. Coburn’s citing of the GAO report of tens of billions of dollars in wasteful spending and Detroit’s dilemma, I’d argue that those reforms are long overdue. Rather than vilifying ALEC, it’s more appropriate to praise them for wanting government to live within its means. Of course, that’s if you’re interested in being the taxpayers’ watchdog. At this point, there isn’t much proof of that in your lengthy record. Sen. Schumer, it’s time you started listening to the American people instead of listening to the DC echochamber. Government is the problem. Limiting its intrusion into our lives is the solution. I could easily triple the size of this letter if I wanted to cite more things that government does poorly. Perhaps I’ll do that in a different post. Until then, consider the possibility that government, especially under this administration, is a) exceptionally incompetent and b) is too intrusive for the people’s liking. As society became more centralized, so did the government. Politicians were happy to ride the wave of societal trends as it brought them more power and money. But the trends changed starting in the 1970s with the launch of cable television networks. That gave individuals more choices in the 1980s, and the Internet expanded those choices in the 1990s. Now we’ve reached a level of personalization powered by more than 100 million smartphones. The culture of individual choice and customization is so strong that no two of these smartphones are alike. We have different apps, music and more. Over the past 30 years, as society has moved away from centralization, the political class has resisted. Government has grown ever more centralized. In fact, the federal government today directly controls a far larger chunk of the nation’s economy than it did just a generation or two ago. That disconnect exists partly because politics and government always lag behind. It’s also partly because politicians are not thrilled with riding the new wave that disperses power away from the political class. There’s no question about whether the political class will attempt to resist this inevitable dispersal. It’s predictable that they’d fight to keep the power they’ve accumulated. The political class is totally out of step with the rest of America, especially in America’s heartland. That’s the single biggest factor for Washington, DC having the terrible ratings it’s got. For instance, Senate Democrats have pledged to craft legislation that’d postpone the penalties required by the Affordable Care Act. There isn’t a Democrat-sponsored bill that would implement the proper policy perscriptions that would fix the Affordable Care Act’s underlying problems. That’s a perfect example of the political class ignoring the policy preferences of the people. The political class isn’t about fixing problems. They’re about doing things so they can say ‘We tried.’ The tipping point is fast approaching that says trying isn’t good enough. Successful solutions are what’s required of the political class from this point forward. Rep. Gowdy is a straight shooter. Most importantly, he’s doing everything he can to protect the taxpayers from the government’s ineptitude. That’s why he’s one of the good guys in Congress. He’s the type of congressman who’s interested in a) protecting taxpayers and b) providing solutions to today’s biggest problems. It’s incumbent on all TEA Party activists to find people like Congressman Gowdy and talk them into running for public office. The more Trey Gowdys, Jim Jordans, Mike Lees, Rand Pauls and Tom Coborns we have in Congress, the better. That’s the only way to stop the political class from ruining America. The White House on Saturday said President Obama would veto the House GOP’s latest stopgap spending measure. It said Obama would veto the bill because of the inclusion of language delaying ObamaCare and eliminating a medical device tax, while faulting the House for not moving a simple funding measure approved by the Senate on Friday. Putting things into a bill at the last minute has been happening for decades. In most instances, however, the changes are additional pork used to buy votes that ensure passage of the bill. This time, the change to the Senate bill would delay the negative impact of the Patient Protection and Affordable Care Act, aka the PPACA. Before the veto threat, White House press secretary Jay Carney called the GOP measure “reckless and irresponsible.” Any Republican who votes for the bill is “voting for a shutdown,” he said in a statement. It isn’t amazing that the administration is attempting to portray Republicans as extremists. What’s amazing, though, is the fact that the media isn’t questioning the White House. They aren’t even pretending to be mildly interested in reporting facts. they will have voted to not fund the government’s operation. they will have voted for hurting families while getting an exception for themselves and their staff. In his statement, Carney criticized Republicans for repeatedly trying to attack the healthcare law, noting they have held more than 40 votes to defund, delay or repeal it. “The president has shown that he is willing to improve the health care law and meet Republicans more than halfway to deal with our fiscal challenges, but he will not do so under threats of a government shutdown that will hurt our economy,” he said. That’s BS. If President Obama was “willing to improve the health care law”, he’d push for something that didn’t use the government to force families into buying something they don’t want to buy. If President Obama truly was willing to meet Republicans half way on health care reform, he wouldn’t have shoved the PPACA down families’ throats. If President Obama was truly willing to meet Republcans half way, he wouldn’t have ignored the American people’s vociferous cries to stop the insanity of passing the ACA. That went in one of President Obama’s ears and out the other. Nothing in the ACA addresses reducing defensive medicine costs. Today, a 27-year-old man in Memphis can buy a plan for as low as $41 a month. On the exchange, the lowest state average is $119 a month, a 190 percent increase. 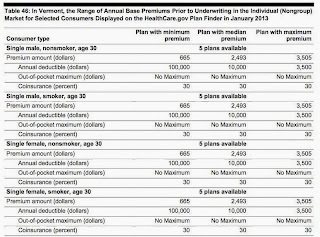 Today, a 27-year-old woman in Nashville can also buy a plan for as low as $58 a month. On the exchange, the lowest-priced plan in Nashville is $114 a month, a 97 percent increase. Even with a tax subsidy, that plan is $104 a month, almost twice what she could pay today. Today, women in Nashville can choose from 30 insurance plans that cost less than the administration says insurance plans on the exchange will cost, even with the new tax subsidy. In Nashville, 105 insurance plans offered today will not be available in the exchange. When the federal government dictates what health insurance policies have to cover, families’ affordable choices shrink. Again, President Obama is about getting everything his way. Mr. Carney’s lies aren’t persuasive. When Democrats vote to defeat the House CR, they’ll have their fingerprints all over the looming government shutdown. The White House on Monday called GOP efforts to defund Obamacare and win more spending cuts at the risk of a government shutdown or default “utterly irresponsible” and warned the president would not negotiate with Republicans. SEN. COBORN: They found 679 different renewable energy programs across 23 agencies. Not across the Energy Department, where they should be if we’re going to have renewable energy programs. SEN. COBORN: They found instances where we’re giving grants from different agencies to the same projects for the same thing, spending 3 times as much money as we should be spending. If Ms. Pelosi still insists that “the cupboard is bare” on spending cuts, then someone needs to ask her if she’s lost her flipping mind. Only a San Francisco liberal would make such a foolish statement, much less say it with the conviction she said it with. It’s time for Republicans to stop with their fetal position negotiations. It’s time to start pushing back against the Democrats’ spending policies. It’s time that Republicans should adopt the policy of asking why Democrats insist on spending the taxpayers’ money this foolishly. Force Democrats to answer those questions. If the media won’t talk about it in its news reports, then it’s incumbent on conservatives to push the issue on TV shows, writing op-eds explaining why it isn’t fair for this administration to spend taxpayers’ money foolishly. It’s imperative for conservatives to question President Obama’s economic policies, too. King, thanks for the reminder. GUTFELD: This title — senior technical advisor to acting tax exempt and government entities division commissioner — is that title what’s wrong with government? GUTFELD: That’s a real title. How much money is pissed away on employees with titles like the administrative assistant to the assistant administrator of administration or the senior technical advisor to the acting tax exempt and government entities division commissioner? I’ve written tons of articles about how bloated the federal government is. This article was the first I wrote about Sen. Coburn’s Sequester This series. This article highlights more of the federal government’s spending stupidity. Thanks to Ambassador Bolton and Greg Gutfeld, we now have something concrete to grasp in terms of the federal government’s spending stupidity.